You are here: Home / Alcohol / What Do We Want Out of Wine? So what is it we want out of wine? That it tastes good, right? Oh, and if it doesn’t empty our wallets that is certainly a nice bonus. This is especially true for yours truly, since the “stock option” plan for VINO employees consists of drinking leftover wine from weekend tastings. Luckily, there has never been a better time to drink well on the cheap. Two good things have come from the global economic crisis: wine producers are very reluctant to raise prices, and there are oceans of unsold wine out there. Add to that, the ever-growing skill set of the world’s wine producers, and honestly, in twenty years of enabling wine consumption, I have never seen it better for the consumer. With the warm weather drinking season fast upon us, where the focus is on popping corks and keeping the crowd’s glasses full, price is of paramount importance. The following three reds will fulfill the needs of the most particular wine drinker, all at attractive prices so you can swill at will! 2009 E.A.R.L. Burle Cotes du Rhone: There is a new term that has surfaced in recent years that originated in France, and has unfortunately been brought here, about the “cool” new breed of young winemakers. They’re called “garagistes” because they supposedly make their must-have wines in their, well, garages. Now whether most of them do or not (for the most part they don’t), it always seemed to me way too precious a term – the thing that turns off most people to wine. However, there are still people scattered around France who actually do, and have for generations, make their wines in what could generously be called garages. Damien Burle, who runs his family’s winery just outside the town of Gigondas in France’s Rhone Valley, is the perfect example of the old school. When I pulled into his driveway a year ago he stuck his head out of a building that wouldn’t have surprised me had it had old Renault and Citroen engines lined up along the wall. It doesn’t, thankfully, instead it has rows of wine barrels filled with some of the world’s most character-filled red wine. The Burle’s have always produced wines that have so much aromatic and flavor intensity to them, allied with the perfect dose of funky earthiness that I love. 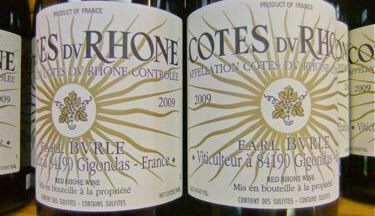 Their 2009 Cotes du Rhone, from what is being rightfully called one of the best vintages of the last ten years, is a luscious blend of syrah and grenache, bursting with mouth-filling blackberry, plum, black pepper, smoke, and earth-infused fruit. I have sold Burle’s wines for the last ten years here at VINO, and this may be the best Cotes du Rhone I’ve had from them. It is a great juice that completely over-delivers for the money. Look for it around town at about $11.95 a pop. 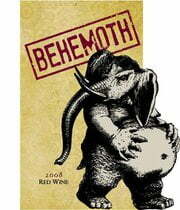 a)- A demon created on the third day who lived east of Eden and ate the forest and mountain creatures to sate his voracious appetite, b)- A Polish black metal band, or c)- A ridiculously good NW red wine blend. Assuming you’re reading this because of reason “c” – that’s what we’ll focus on. Winemaker Matt Berson, whose “Love and Squalor” wine label may be one of the best label designs (and the wine contained within is pretty damn tasty, too) has sourced some beautifully ripe fruit from eastern Washington’s soon to be official Ancient Lakes AVA. Despite the ferocity of the animal pictured on the label, this Behemoth is actually a user-friendly blend of 53% Merlot, 20% Cab Franc, 15% Cab Sauv, and 12% Syrah. This wine has amazing body and texture. Combine that with its intense dark berry, cocoa and cherry tinged flavors, and its smooth, voluptuous finish, and you have a wine that is begging to be served with something off the grill. Right now I’m thinking about a grilled leg of lamb that has been generously rubbed with garlic, rosemary, and olive oil. But it’s only 10 am, and that could all change by noon. 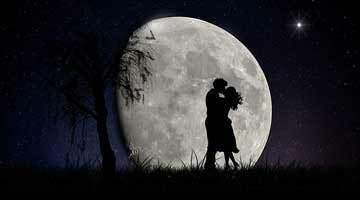 The bottom line is, it defines “crowd-pleasing” and absolutely will not disappoint. This Behemoth can be captured around town for about $13.95 a bottle. 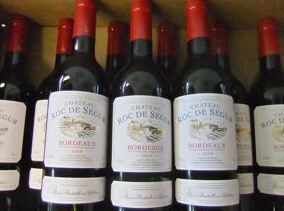 2009 Chateau Roc de Segur Bordeaux: The wines from Bordeaux have always been the Holy Grail for wine dorks. They’ll pontificate mind-numbingly about which chateau produces the best wine, which vintage was the greatest, and worst of all, go all blowhard about that unbelievable wine they pulled out of their cellar until you want to put a gun to their head and yours. Now, if you’re the more balanced person who prefers to drink their wine and not talk about it, read on, though I suspect after you take a drink or two of this beauty you might have a thing or two to say. You’ll be hearing a ton about the 2009 vintage of Bordeaux in the weeks, months, and years ahead. It is already being called “The Vintage of the Century”. Of course so were the 2000 and 2005 vintages. And we’re only 11 years in at this point. So taking the foot off the hyperbole gas pedal, let’s just call Bordeaux vintage 2009 a true classic year, where weather, grapes and winemakers all came together in one big love fest. I usually approach inexpensive Bordeaux with trepidation. Too often they are thin, uninteresting, or both. However, with the perfect ’09 weather being the tide that raises all boats, even humble village Bordeaux like this show well above the norm. When I first tasted this remarkably put together wine (mostly merlot with bits of cab sauvignon and cab franc) I was absolutely knocked out by how good it was for the money. It had all that classic Bordeaux-ness: layers of blackberry, cedar, plum, tobacco, violets, and swirls of smoke and sprinkling of spice coming in on the edges. The finish is what really sold me, lingering long and deliciously. This drinks wonderfully now, and is a perfect “dinner party go to”. But should you be the patient sort, I think you just might see a bit of improvement over the next three to five years. Although when a wine is already this good, I completely understand instant gratification! Grab yours for only $11.95 per bottle. Previous Post: « 2011 Reader’s Survey: The Best Restaurants in Portland! Thank you so much for having pictures of the labels with this article! Very helpful. And welcome to the neighborhood. Bruce, thank you for sharing. I love good wine, but I’m definitely no expert, I usually enjoy the company more than the drink itself, but you’ve given me some new things to try! I’m not sure that I’ve ever had Bordeaux. That will definitely be on the top of my list! The depth of flavor you described sounds almost perfect! For a casual and somewhat inexperienced wine drinker, what are the things that I should start looking for when tasting wine? Thank you for the wine recommendations. I will try all 3 of them soon.